World famous video game publishers Square Enix commissioned us to create a teaser trailer for a new instalment of their PlayStation 4, Xbox one and PC game Just Cause 3. 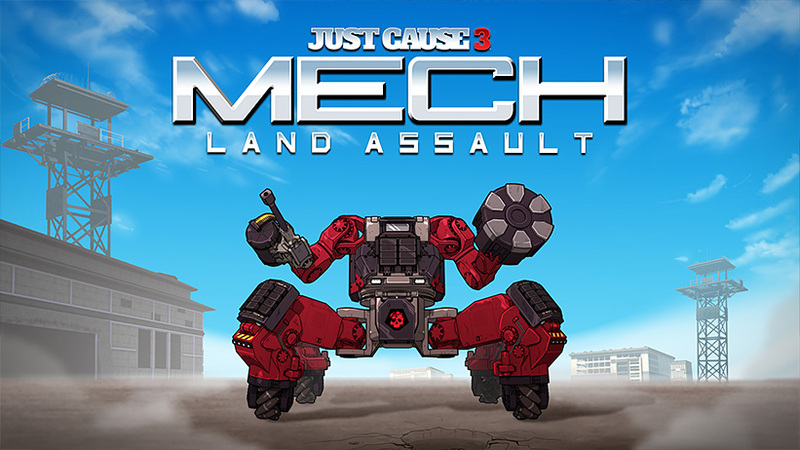 It needed to showcase a brand new Mech Land Assault Vehicle in an Anime inspired animation style promo. 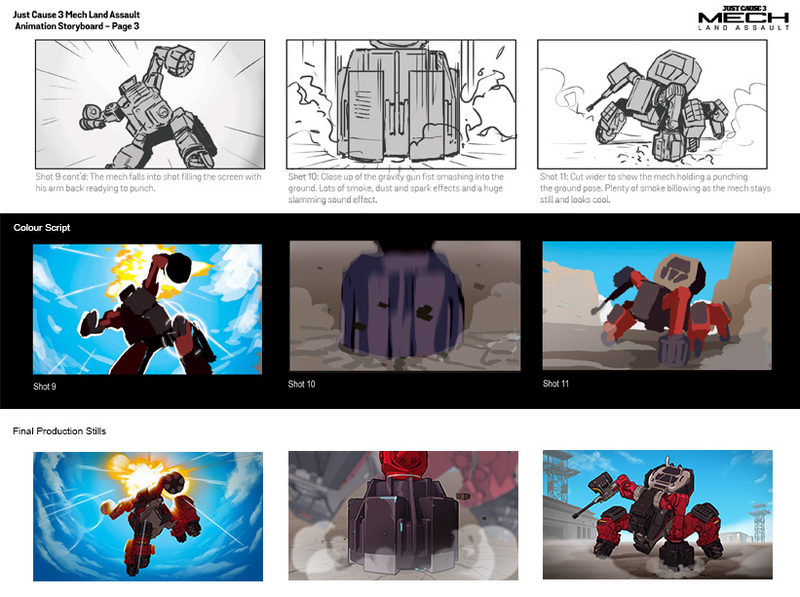 We worked with Square Enix to develop a short story which would demonstrate the powerful abilities of the new Mech character – beginning with a storyboard and colour script. A challenge was to stay faithful to a traditional 2D Anime animation style while working with a 3D animated mechanical character. To achieve this, we textured and rendered 3D animated elements to appear as 2D with extra hand-drawn detail, such as scratches and highlights. For extra impact, we added a wide range of 2D animated effects animations and composited the scenes onto matte painted backgrounds. 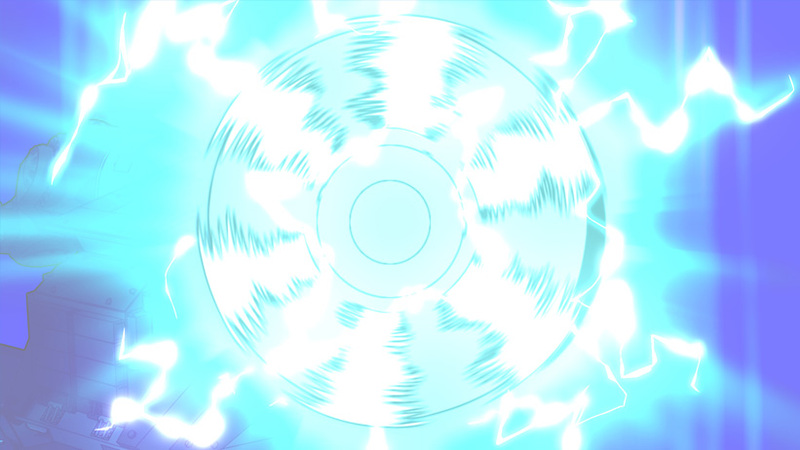 2D effect elements, including explosions, electricity, dust etc. were traditionally animated. This is definitely up there with one of the coolest promotional videos we’ve ever seen for a game. 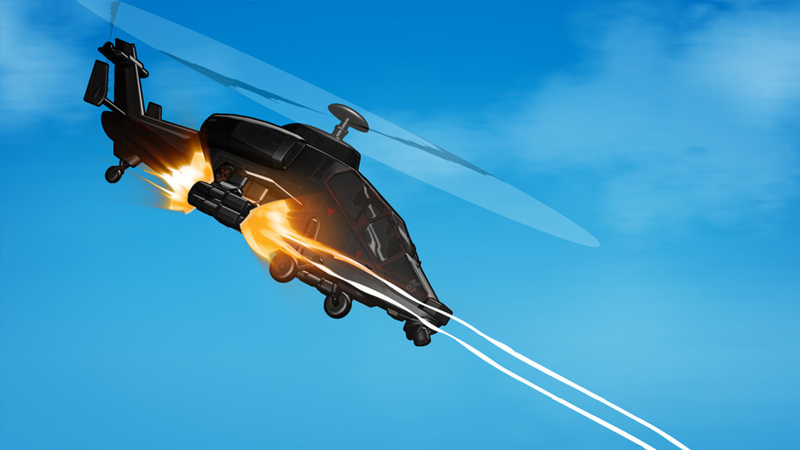 Other scenes were created in full traditional 2D animation. Putting it all together – compositing broken apart. The film was delivered to a very happy Square Enix and gained over 50,000 views within the first twenty four hours of release on YouTube and game review sites worldwide.